My previous post was about my moving on to new service with Sprint PCS, coupled with two nice new phones. While I do like the new phones and service, it leaves me with yet two more perfectly functioning cellphones that I no longer use. A few weeks after my changeover to my new phones/service I noticed a post on a Sprint users’ forum from a person who had broken their 4930 and was looking for a replacement. I contacted that person and offered my perfectly working 4930 for the cost of shipping it to him. Now I need to see, I guess, if I can find good homes for my other four Sprint PCS phones. I hate to see them junked, because they are some of the best basic phones ever on the Sprint PCS system, and there is nothing wrong with them. I may keep one as an “emergency backup” should one of my current phones go bad, but that still leaves the others. I’ve had a cellphone since I first started engineering the cellphone network’s interface into the landline network back in ’84. 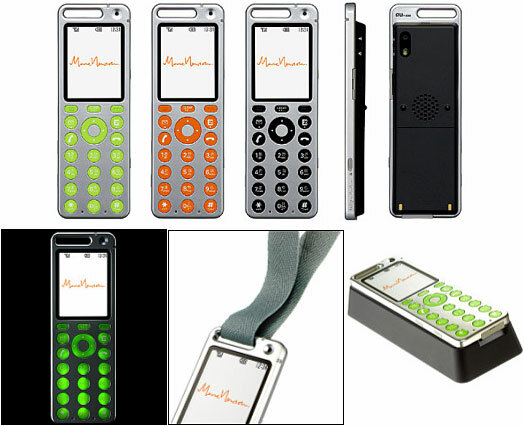 That first cellphone was a black 3 watt Motorola portable the size, shape and weight of a car battery. Since that time I’ve had many other, different, cellphones, including the new ones I just got earlier this week. My current service is with Sprint PCS (has been for the past decade) and I’m pleased with the service technically, but like most Sprint customers I dread contacting Customer Service for many reasons. The prior phones on my account were a ruggedized Sanyo 4930 for myself and a metallic pink (!) Sanyo 200 for my mother. Both were fairly basic phones with excellent battery life, outstanding speakerphones, and excellent fringe area ability. Both could also browse the internet and swap SMS and e-mail messages, although I didn’t use those “non-phone” features – mostly because of excessive cost and lack of need. Recently I learned of a ‘special offer’ for ‘new activations only’ that for the same price I was paying for minimal voice-only service with Sprint would provide me with twice the monthly minutes, evening and weekend unlimited time starting two hours earlier, full unlimited internet, full unlimited text messaging, free roaming, free long-distance, and a few other goodies. Of course existing customer’s lines were not eligible for this offer. So, since I purposely haven’t been ‘under contract’ to Sprint PCS for nearly a year, I decided to order two new lines with two new (free) phones under the special offer and terminate my old service with Sprint (no termination charges) after they arrived and activated. I also added “Sprint Navigation” (TeleNav.com) to one of the new lines/phones, since it has a full autonomous GPS built in. The new phones are a red Samsung M300 for my mother and a Sanyo SCP-7050 (mil-spec, ruggedized) for myself. This week I’ve been playing with the GPS features on my new phone at every opportunity (right now I’m at N 47 12’10” by W 122 32’7″ and going 0 MPH). The combination of the GPS knowing where it is and communicating with the navigation server to present maps, turn-by-turn instructions, traffic alerts and re-routes, all on a real-time basis, is fascinating. I went to at least two places I’d never been before with no problem, and was re-routed around a mess on I-5 once so far. Having this little black thing clipped to my car’s dashboard, showing my route and announcing over it’s speaker each action I need to take is actually as useful as it is interesting. Oh! It also has a “pedestrian mode” that I haven’t even sampled yet. Be interesting to see how it handles getting someone from place to place walking. While in the car, the phone is of course running from the car’s electrical power and charging it’s battery, but while hand-held, even though it has very good battery life, I have the “extended battery” on it’s way, whuch should boost it’s “talk time” from 4.5 hours to 7.5 hours. I suspect I will be writing more about this newfangled gadget as I play with it more. Lets talk about cellphones a little bit, OK? What I want is a high quality voice telephone with a high quality, full duplex speakerphone with adequate fidelity and volume to be useful in a vehicle. I expect this phone to have long battery life (which should be a snap with all the “extras” left out), reasonably compact (ditto) and reasonably rugged. If it is a ‘candy bar’ phone (non-folder) I want to be able to lock the phone with one touch (not four levels down on some menu) so bumping a few keys won’t initiate a call, and I want to be able to unlock it quickly with a four digit PIN. If it is a folder, I want to be locked when closed with no buttons active on the outside. I want to be able to answer a call even when outgoing is locked. I want the phone to be happy with being dumped in a pocket. I’m willing to pay decent money for this phone. Instead, what do I get offered by my carrier? Ever more elaborate feature sets on their “better” phones, or cheapo ‘entry level’ phones if I don’t want all the whizzbang features. 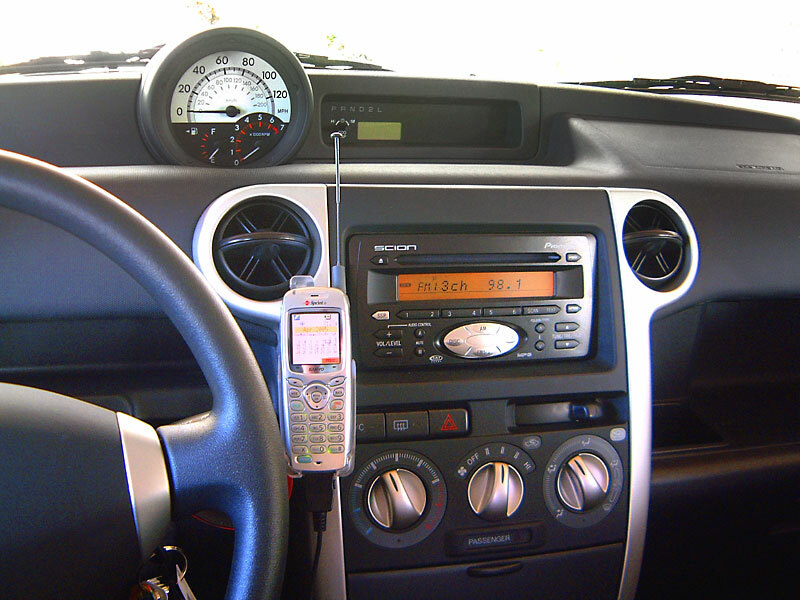 Right now I’m using an old Sanyo 4900, which has a very solid speakerphone that works great from it’s clip on my car’s dashboard. It even has great battery life (seven hour talk time). It works well, and I even have a ‘spare’ should this one fail. The only bad features are in the locking of the phone (cannot lock directly – must search down several levels in the menus) and it’s size/weight. It is a fairly large and very heavy phone. Actually, I would even be willing to accept some of the ‘extras’ I disdain above if the phones in the US were chosen from some of the better designs available in Japan. Sadly, the well designed yet inexpensive phones like the Talby by Sanyo (a designer model with speakerphone, 1.3M camera, web browsing, messaging, etc., that sells for $150) never make it into this country. There are many other fine designs out there, by many manufacturers, but mostly the hideous silver-painted plastic blobular designs make it here. Anyway, my biggest question is: Why don’t we have available a selection of high quality cellphones designed solely for making phone calls??? This afternoon I drove over to the Sprint Store in nearby Lakewood, WA to pick up a new cellphone for my mother. She has one of the phones on my Sprint account, and the little folding Samsung she’s been using suddenly decided to quit for no apparent reason – while it was sitting in it’s desk charger, relaxing and sucking juice, no less. On my way to the Sprint store, I passed one of the skateboard parks in the area, and was rather startled to see one of the local police officers, who regularly patrol the skateboard parks, riding a ‘board (rather well!) while in uniform. Appears he was showing one of the kids there how to do something. I found his doing something like that pleasant change from the usual attitudes shown between police officers and skateboarders. Kudos to the unknown officer! At the Sprint store I explained the problem and what I wanted to happen – replace the dead ‘phone with one that worked, using the $150 rebate I had coming and had already confirmed. I’d even picked out the ‘phone I wanted to get my mum – a metallic pink Sanyo SCP-200. As usual, when dealing with ANY cellphone operation, the entire procedure was overly complex, and waaaay too time consuming. From “in the door and talking to a rep” to “out the door with a pretty pink ‘phone in a box” was nearly two and a half hours. Most of that time was spent with the Sprint CS rep flailing away at her keyboard and mouse or talking with her senior tech, office manager, or someone at the national service center to figure out how to get their elaborate system to simply swap phones and grant the rebate. I ‘suggested’ that providing me with an actual working telephone rather than a DIY project should be part of Sprint’s job – HER job. She then took another 15 minutes programming the new cellphone so that it knew it was a cellphone, and what number it was supposed to be. Is it just me, or has “Customer Service” these days turned into “customer servicing” in the same way a bull services a cow?